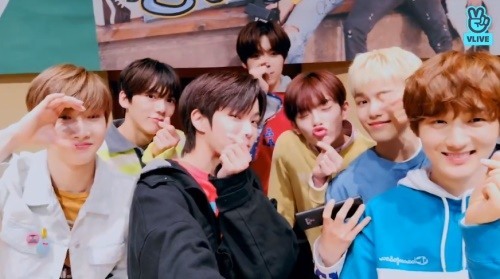 Rookie boy group Verivery went live on Saturday via V app to celebrate its one-month anniversary of debut. 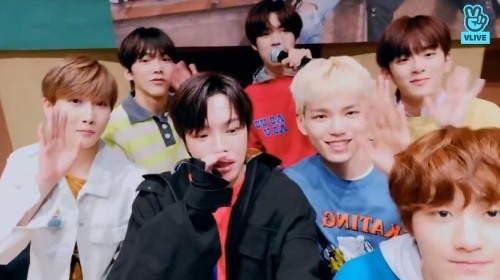 The seven boys turned on the camera right after their fan-signing event held in Daegu to say hello to fans who couldn’t attend. The members said they haven’t had dinner yet and were asking viewers for food recommendations in Daegu. Fans told them to try makchang (beef intestine), among others, one of famous specialties in the area. But Hoyoung said he couldn’t eat them, so the members decided to eat something else. Before turning off the broadcast in search for restaurants, the septet gathered to say good-bye and thank fans. “We are going to eat something very delicious. 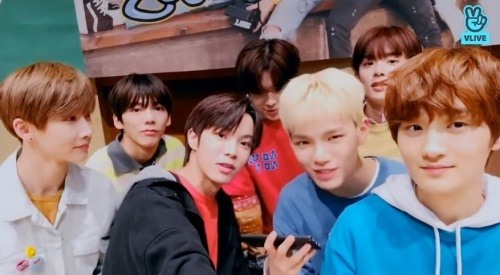 I hope you all enjoy a good dinner,” said Yongseung. “We made our debut on Jan. 9, and today is Feb. 9. It’s been only a month, but we will always improve and do our best to look awesome,” said Minchan.